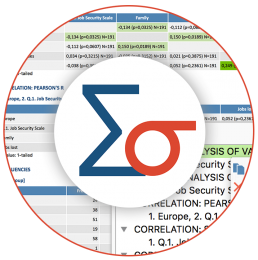 MAXQDA Analytics Pro equips you with a large range of tools for statistical analysis. Seamlessly quantify your qualitative data and enrich your analysis with evidence and plausibility. Statistically analyze your qualitative data in MAXQDA or import and connect your data with data sets in the Excel or SPSS format.